Bookeneded by two brutal battle sequences, Saving Private Ryan is one of grittiest war pictures Hollywood has produced. The film, which gave many in younger generations an unvarnished look at look at the brutal realities of World War II, touched on brotherhood and duty, bravery and folly. 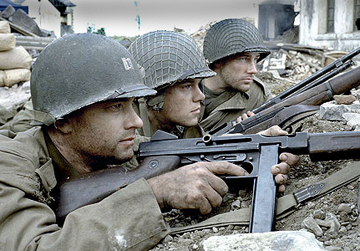 How well do you know Saving Private Ryan?